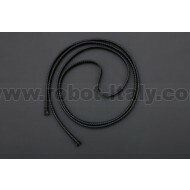 The braid provides some rigidity to the cables, also, it can be expanded by compressing it which will allow many more cables to fit inside. 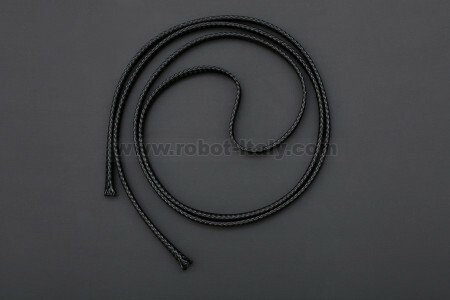 This is a black braided cable guide. 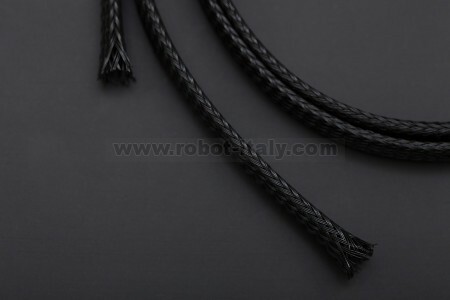 The braid provides some rigidity to the cables, also, it can be expanded by compressing it which will allow many more cables to fit inside.